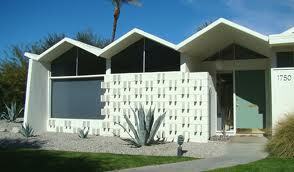 Berkus guided the tour and presented his take on modernism’s mark on architecture in Palm Springs and across America. A video archive of the design tour and Berkus’ discussion is posted here. “Being acknowledged by those who live within the architect’s dream is the highest honor one can aspire to , and the fact that residents here have kept my dream in condition is a remarkable compliment,” Berkus said. Founder and president of B3 Architects and Berkus Design Studio in Santa Barbara, Berkus has remained on the forefront of residential design in this country and abroad for over 40 years. His name is synonymous with innovation, and his firm has won hundreds of design and planning awards from regional, national and international competitions. Berkus began as an intern for noted Palm Springs architect William Cody before opening his own firm and designed Park Imperial South at the age of 25. During his talk at the tour, Berkus recalled sitting at construction sites for John Lautner projects, inspiring him to develop his own unique design vision. Berkus said Park Imperial South was an experiment in design and construction. The distinctive folded-plate roofs were constructed in Oakland before being transported to Palm Springs where they were lifted into place by crane. “I wanted to design a space for people who could not afford an architect,” said Berkus of the project. As his company went public, Berkus began considering modular housing. He researched data at UCLA on every modular created up to that point and concluded that mobile homes were the only successful factory-built house that made its manufacturer money and lasted for any length of time. It seems Berkus was right about his long lasting design at Park Imperial South as well. 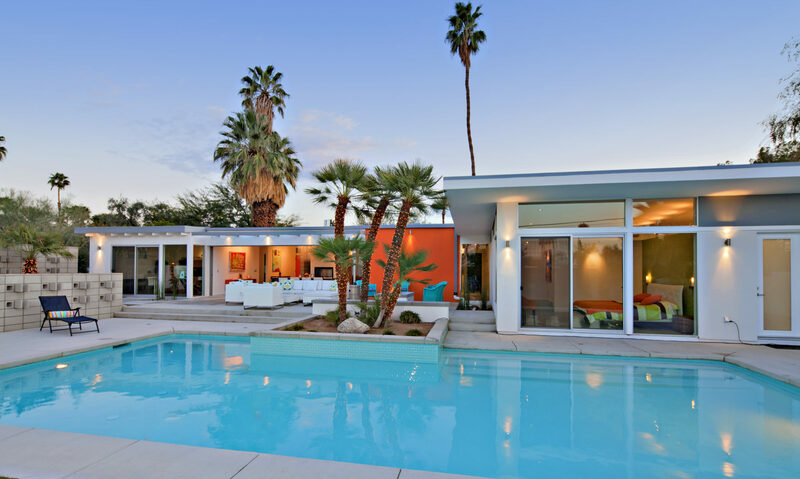 One objective of the Modernism Week tour was to demonstrate the complex’s design longevity both interior and exterior as well as the versatile floor plan. Nine homes in varying stages of rehabilitation and remodel were open for guests to view. Several units had been completely redone with new kitchens and appliances, upgraded bathrooms, redesigned patios and new flooring, while other units retained original design elements such as range hoods, cabinetry and intercom entertainment systems. For the past 10 years, Park Imperial South homeowners association has been restoring the complex with new landscaping, entrance signage, lighting and wood paneling to each home’s entrance. The Palm Springs Preservation Foundation has granted funds to continue restoration projects, and the sold-out tour during Modernism Week benefited the development’s renovation projects. Palm Springs has a proud heritage of innovative Mid Century Modern architecture in public buildings as well as custom, tract and condominium homes.